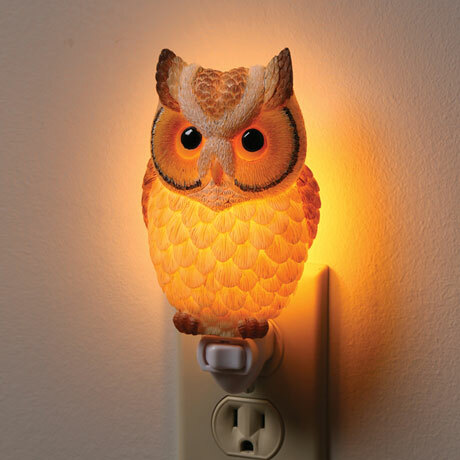 While you sleep, the owl stays awake, ready to guide your steps in the night. Beautifully detailed in three dimensions, cast in bonded marble and resin, handcrafted, hand-painted owl looks like porcelain when lit. Rocker switch. Candelabra bulb included.